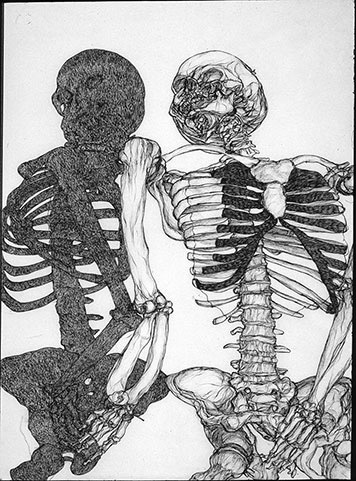 Skeletons and Shadows, drawings, 1993. 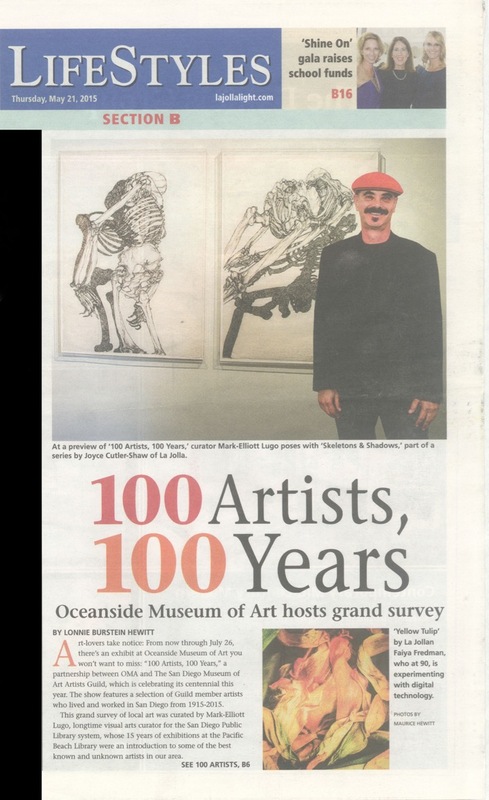 Skeletons and Shadows with Mark-Elliott Lugo, 2015. 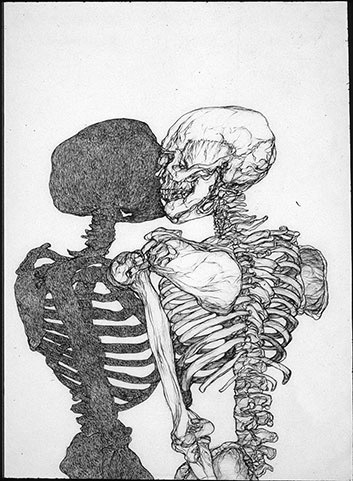 The skeleton and its shadows, the most durable and ephemeral traces of the human body, evoke the hidden and mysterious self. 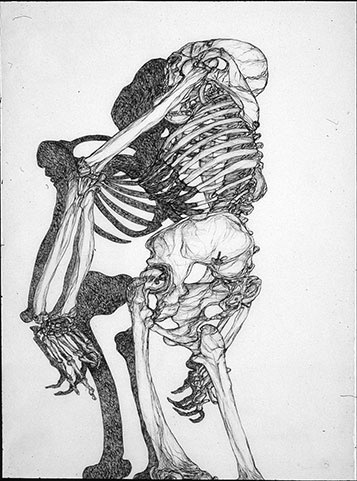 The skeleton is our primary human structure, our armature. Human evolution is written in the fossil traces of that skeletal structure. 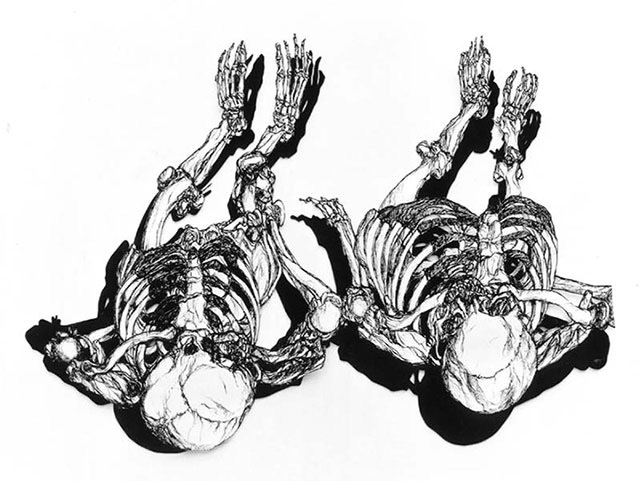 Cutler-Shaw has an extensive series of skeleton drawings, enlarged mylar wall works and dimensional wall collages including her Alphabet of Bones. 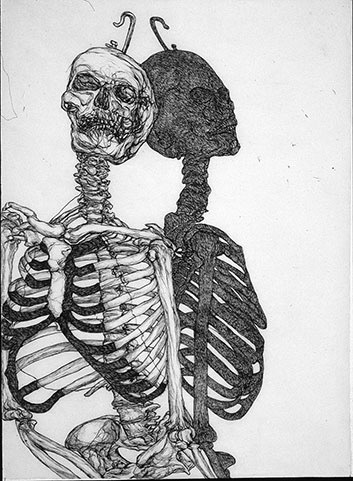 As she has written in one of her poems, “In the anatomical poem, every bone has its own code.” Joyce Cutler-Shaw approaches the body as a matrix of the human condition and the study of its territory as a geography. Her themes are human identity and the evolution of life.